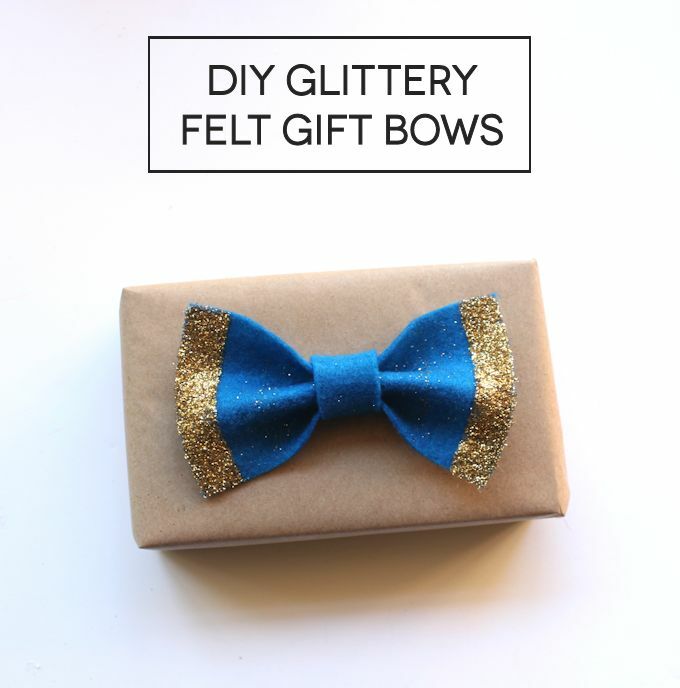 Today I’m going to share with you one of my favorite DIY gift bows. 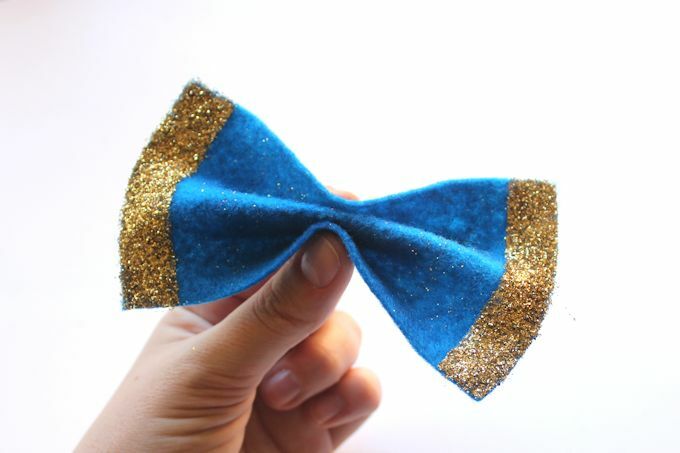 It only takes less than 5 minutes to make these DIY bows (not counting drying time), and it costs just a few cents. You probably already have everything you’ll need in your craft stash. 1. Cut a rectangle out of felt. You can play around with different sizes and shapes. It will give each bow a slightly different look. For a starting place, try making one the size of a 3×5 card. 2. 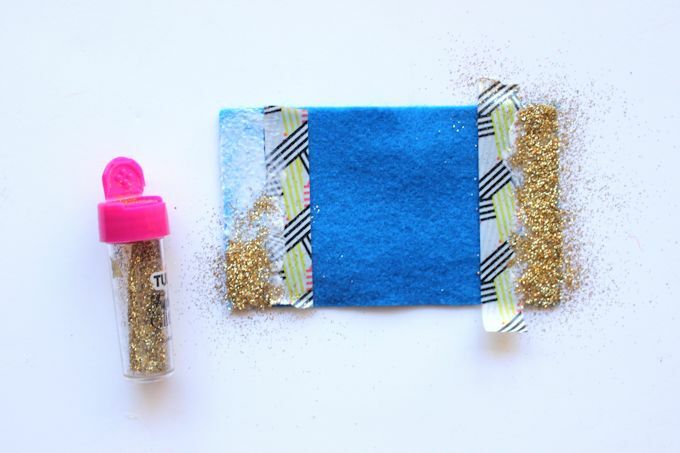 Tape off the edges where you want glitter. Use painter’s tape or washi tape. You could also cover the middle area with a piece or paper or something to keep it from getting all glittery as well. 3. 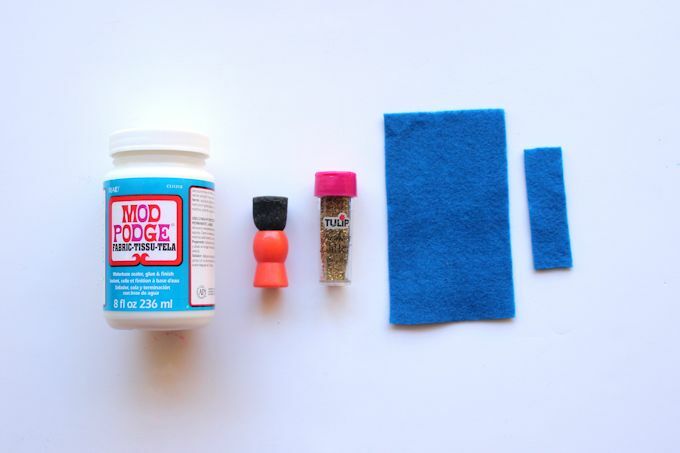 Apply a medium coat of Mod Podge Fabric along the outsides of your felt rectangle. 4. Cover in a thick coat of ultra fine glitter. Remove the tape, and let the Mod Podge dry. 5. 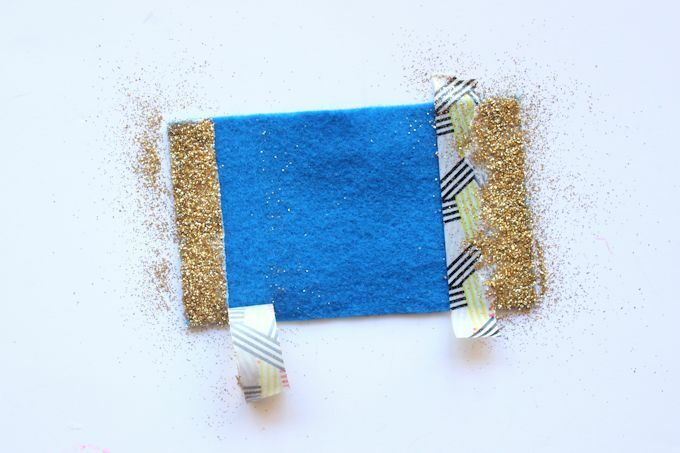 Shake off the excess glitter, then get your hot glue gun and the thin felt strip that will be the middle. 6. Pinch together the center of the bow. Basically you are folding the rectangle in half and then folding the edges back down again into fourths. 7. Dab a little hot glue on the back of the center of the bow, then wrap the felt strip around the middle, applying a little hot glue as you go. And that’s it! You can make a lot of these in one sitting and use them in place of store bought gift bows this year. You could also turn them into beautiful Christmas tree ornaments or other Christmas decor. This post was originally a contributor post for Mod Podge Rocks.